Yes, we do have greens! 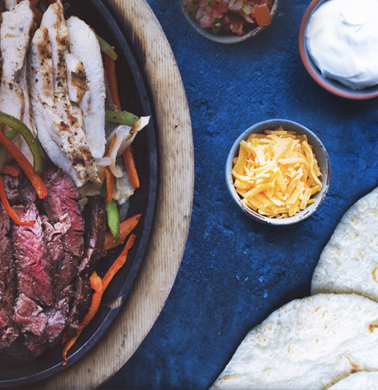 Enjoy the protein of your choice served atop fresh greens and a selection of Texaa-inspired flavours. Parmesan cheese, crumbled bacon, Texas croutons Caesar dressing. Mixed greens with fresh tomatoes, green peppers, sauteed red peppers and onions, glazed pecans, jack cheese tossed in a honey spiced citrus vinaigrette. 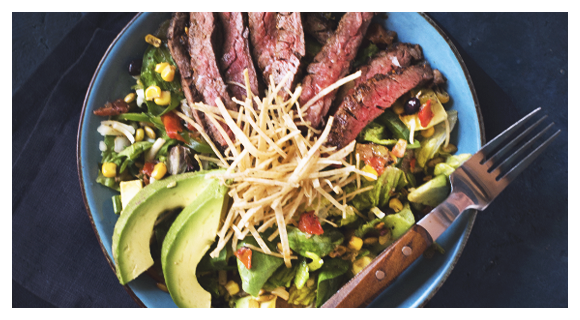 Mixed greens, black bean and corn salsa, fresh avocado, pico de gallo, toasted pepitas, green onion, green peppers, and jack cheese tossed in smoky lime vinaigrette topped with corn straws.